Includes 26 courses for $599/year. 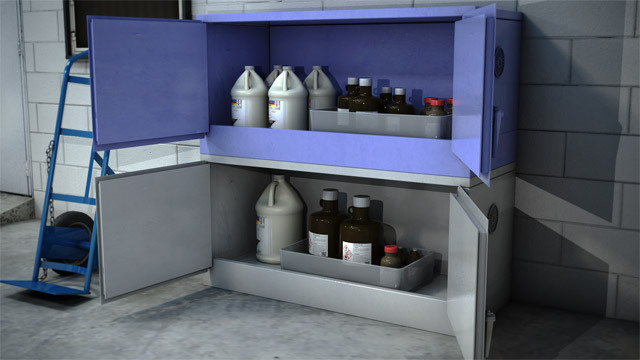 Use cabinets or shelves designed for the hazards of the chemicals being stored. Corrosives need to be isolated from flammable, oxidizing, and water-reactive chemicals. 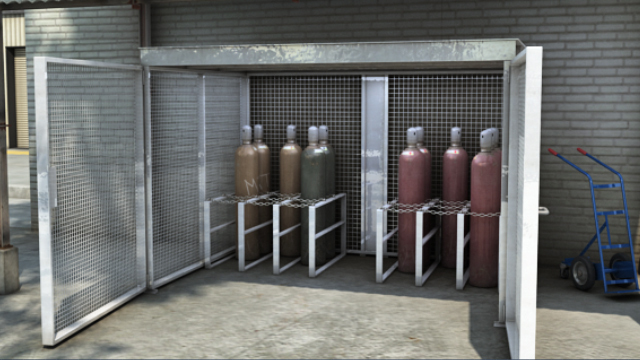 Compressed gas cylinders should be stored upright and secured at all times to prevent tipping. 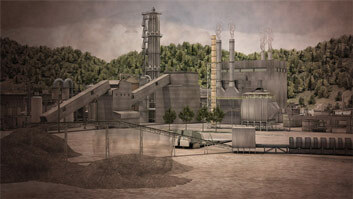 People commonly work near or with many different hazardous chemicals. Pesticides, paints, solvents, acids, gasoline, compressed gases such as propane, and liquid cleaning products such as bleach are just a few of the hazardous chemicals workers can be exposed to on a regular basis. The risk of being exposed to a hazardous chemical is greatly reduced when the chemical is handled and stored according to manufacturer recommendations and in compliance with facility standards. This module will present best practices for the safe storage of hazardous chemicals. Where do I find storage information? Safe storage requirements are listed on manufacturer labels and in Section 7 of the safety data sheet (SDS). What are some general storage requirements? 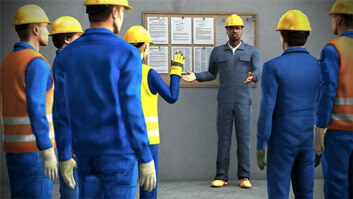 All hazards need to be identified, containers must be labeled, and incompatible materials should be segregated. 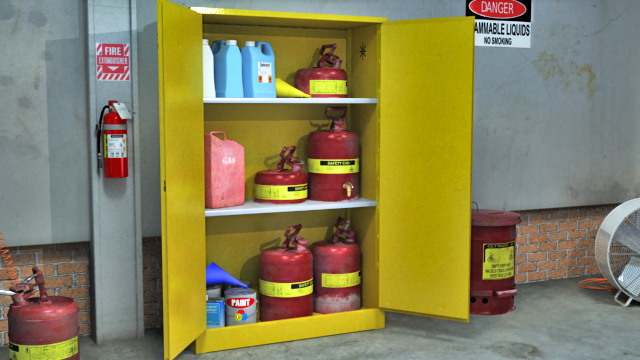 Storage areas should be ventilated and climate controlled and free of ignition sources. How should chemicals be segregated? 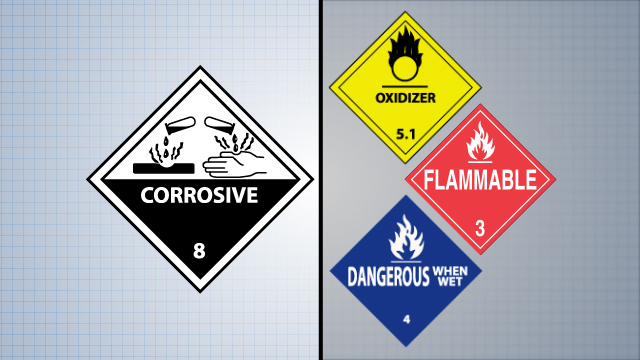 Group chemicals by their hazard classification and label storage areas accordingly. Incompatibility information can be found in the SDS. What should I do with expired or unwanted chemicals? Remove them from storage and dispose of them appropriately. 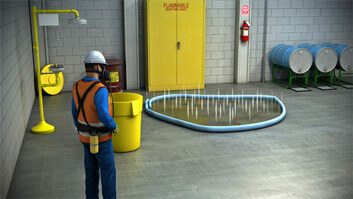 What safety equipment is needed in storage areas? Keep fire extinguishers, eyewash stations, emergency showers, spill cleanup kits, personal protective equipment (PPE), and first-aid kits readily available and in good condition. 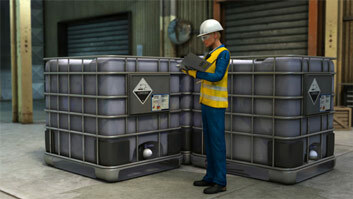 Proper storage of hazardous chemicals is critical to reduce the risk of exposure. 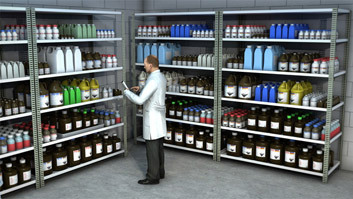 Proper storage practices include: •	Identify products with appropriate hazard labels •	Use appropriate storage containers and cabinets •	Segregate incompatible materials •	Store chemicals in a cool, dry location with adequate ventilation and lighting •	Eliminate ignition sources •	Control inventory to minimize quantities on hand •	Restrict access to storage areas When hazardous chemicals are stored properly, the risks to employees and property are greatly reduced. Chemical- specific storage information can be found on labels and safety data sheets.